Kael Falconer was born on the planet of Corellia to a middle class family. Growing up, Kael was quick thinking and fast on his feet. Kael constantly ran into trouble with the law, his father becoming aware of this sent Kael off to a military school at the age of twelve. Kael remained there till the age of fourteen, where he learnt how to use a weapon, single handed combat and most importantly discipline. At the school, Kael became charismatic among his fellow peers and developed leadership skills. Noticing his potential, his instructors transferred him to a leadership academy associated with the famed CorSec. At this institution Kael was taught how to lead, think independently and develop tactics in response to military actions. In his class, Kael was among one of the best and in the simulators demonstrated his skills using well thought out strategies to outcompete the simulations. By the time Kael was sixteen, he had already undergone numerous leadership and combat training scenarios. It was at this point Kael was further transferred into the CorSec air wing, were he learnt to fly among Corellia’s finest. Kael demonstrated his excellence within the air wing and far surpassed the other recruits. In the simulators Kael passed with flying colours, when it came to the combat scenarios, Kael out thought his competitors but when it came to being met with overwhelming firepower, Kael faltered, having trouble to fight his way out. Later on however, Kael would learn that the best strategy is not always direct combat, but perseverance and a well thought out plan. 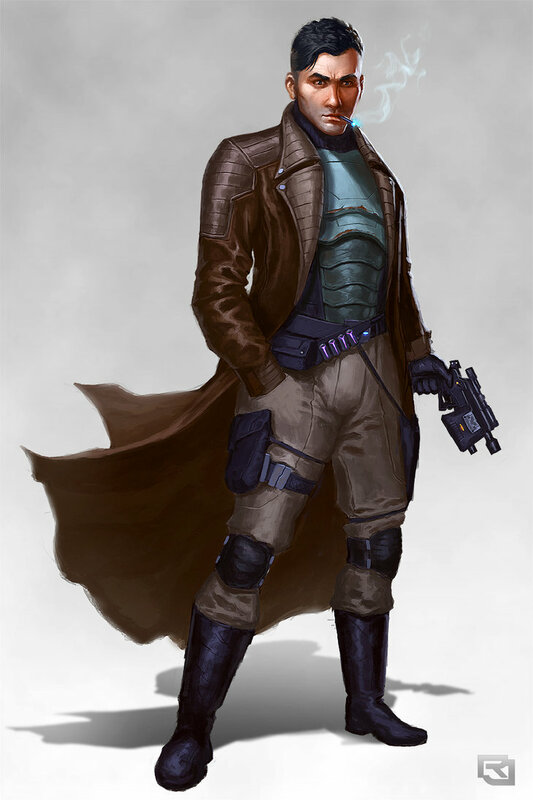 At the age of eighteen, Kael left the CorSec academy and transferred into the Corellian defence forces. Due to his prowess in the simulators, Kael was given command of the Celerthra a CR90 corvette. 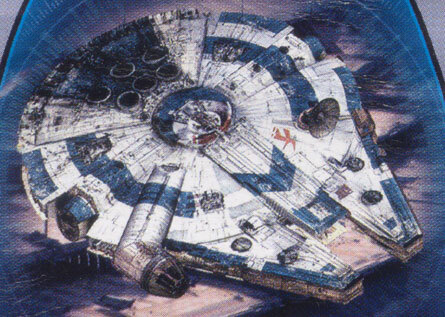 His primary role was to hunt down pirates operating in the Corellian sector. Over a period of five years Kael saw direct combat with many pirates or ‘thugs’ as he regarded them and outperformed them in battle. Raking in dozens of small pirate groups, Kael and his crew became well known. In Kael’s last month of being a part of the military, the Celerthra was sent to track down a band of pirates operating on the planet Drall. Upon arriving the Celerthra was immediately attacked with its shields giving away within seconds. After the ships engines were disabled, the ship was boarded. All around him Kael watched as his crew were gunned down in front of him, by what he initially thought were pirates, after Kael was captured, he learnt that these thugs were actually Imperials who had been tasked to subdue Kael and the Celerthra and eliminate all on board. The few survivors of the attack were placed in Imperial custody aboard the cruiser that had attacked them. After a short skirmish, Kael and the other survivors broke free from custody and escaped by using the cruisers escape pods, landing on the planet surface. Kael spent months on Drall in hiding, not knowing why his ship had been attacked and even more worrying to him, was where the survivors of the Celerthra were. After months of hiding, Kael learned that the rest of his crew had been killed upon landing on Drall and were labelled as fugitives of the Empire. Kael had no other choice but to move on. After becoming a stowaway Kael was able to make his way back to Corellia, where he bought a YT-1300 light freighter, which was named the Aurora. The vessel was heavily modified with more storage space, which meant cabin quarters were shrunken or completely removed all together. Within the vessel there were hidden compartments which had been placed to elude anyone that might search the vessel. It was at this point Kael decided that it was in his best interest to work as a smuggler. Stowing goods on his ship, going from point A to B for the highest bidder. Kael no longer had any obligations, his family gone, his friends dead and he certainly had no ties to the Empire or Corellian military. 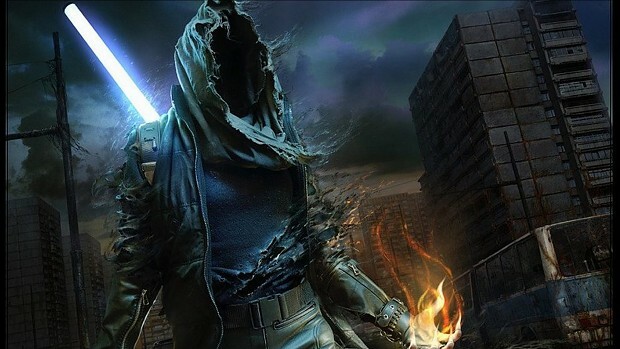 After his former masters death, Jester was appointed high inquisitor of the sith being one of the most trusted members, he fought alongside many other sith for a while until he grew old of working for savages, the Sith, the people he strived to destroy, had made him fall but he knew it was time to get out, after the fall of the empire, he laid down the foundations of a new faction ‘The Pentastar Alignment’ he was the first leader of this faction and he sought to make it as peaceful as possible, the faction stood upon the rules that it would strive to protect the men, women and children of the Alignment but most importantly stop galactic war from escalating, soon after he was removed from office by one of his closest friends, the former Mandalore the strategist… In his exile he laid the foundations of a forgotten order, The Grey Jedi, his original alliance. While remaking this order his was appointed the ‘Promethean’ the leader of the Order. Jester’s personality is quite funny but when something becomes serious he is serious, if something happens and he wants to find out he will till he finds out, if someone needs to be silenced he will fore fill that role. The series is based in 2018 up until 2030 about a war that ends up as World War 3. So basically what has happened is Russia has reformed the Soviet Union and has invaded Iran, Kuwait, Iraq and Afghanistan. Australian and American forces sping into action and try to push the Soviet Union out of these countries, they fail and then try to use the UK as a staging point for Naval fleets and forces to meet up and Invade Russia. oon the UN declare the war 'World War 3'. COuntries are then forced to pick a side or try and stay neutral. Book 3 2023- Australian and US forces regroup and prepare to push the Soviet Union out of the United Kingdom. Book 5 2025- UN declares the war World War 3 leading to the countries of the world either picking a side or remaining neutral, some are forced to join the Soviet Union. Book 5 2026- Japanese forces move to Hawaii to join US and Australian forces. Book 7 2028-Allied Invasion of Russia from Greenway. Book 8 2029- Russia Surrenders after Moscow captured and Kuwait, Pakistan, Iran, Iraq and Afghanistan fall to Allied Countries. Thanks For Reading this CRITISM IS WELCOME Please Comment and tell me what you think fits what. These new troopers have been added to my spec ops platoon they are limited in numbers. They are normally seen carrying a 40mm Assault Rifle and 40mm sniper rifle. Standard equipment: Droid poppers, thermal detonators and a PT-1 heavy blaster pistol , but due to numbers they will only be used in stealth missions, peace keeping tasks, planetary defense, security and space station defense. NOTE: These will not be for sale and are only for NGR forces. They are HEAVILY armoured and are a tough foe. I'm leaving to the unknown regions after the Old Republic has fallen and the Sith are attacking without mercy I shall be constructing a new fleet and will be back hopefully, I wish you luck with the sith, And also with the rebuilding of the galaxy when you win this war.